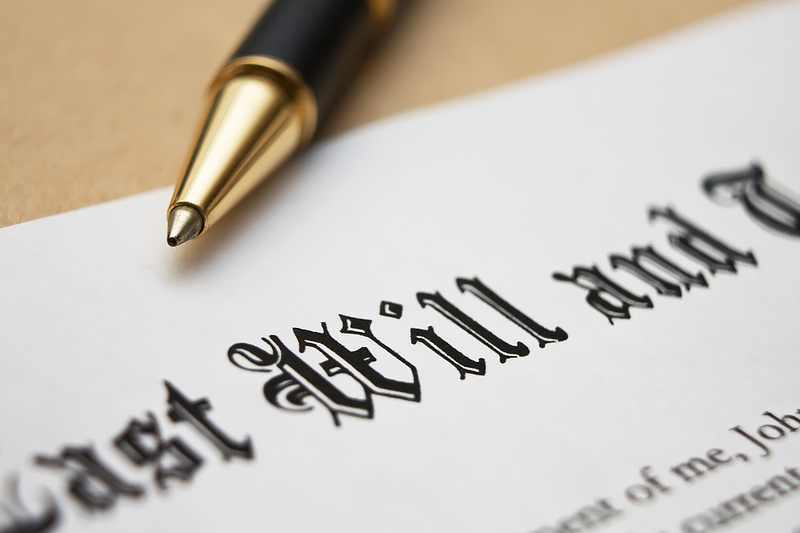 If you have been named as the personal representative of an estate in someone’s will, you might rightly feel honored, but you should also be prepared for a major responsibility — one that can seem thankless and overwhelming at times. Personal estate representatives, as they are called in Maryland — although many people would probably refer to them “executors” — are often tasked with a variety of complex administrative duties in areas where they likely have little to no prior experience, such as wealth management and asset distribution. If you want to perform these duties by yourself, then you’ll need to learn on the job in short order, often while you are still dealing with the loss of a family member or close friend. In addition, very few people realize when they accept a role as a personal representative that they can be held liable for mistakes they make while managing and distributing the deceased person’s wealth. Why Hire an Estate Attorney? Unless you have significant experience in the final administration of an estate, you should strongly consider hiring an estate administration attorney if you’re appointed as a personal estate representative. An attorney will know the relevant estate laws and procedures for your jurisdiction and can use their experience to go over every detail of the estate and related duties, preventing you from making administrative mistakes that could expose you to liability. Even the simplest estates in Maryland still have to go through probate in the Orphans’ Court and Register of Wills, which can be a complicated process no matter how straightforward a person’s will and wishes for their estate might seem. Choose a local attorney. It’s usually best to select an attorney from the state or even the region where the deceased person lived. Estate laws differ from state to state, so an attorney who is already familiar with the laws that apply to the estate in question is an excellent choice. Select an attorney with estate administration (probate) experience. An attorney with a generalized practice who has a bit of probate court experience may be able to represent you adequately in settling a very simple estate, but more complicated wills that includes litigation or a wide range of assets require more experience. Don’t be afraid to consider professionalism and personality. As the personal representative for the estate, you’ll have to work with your estate attorney closely for some time. Make sure to select someone you feel comfortable working with and talking to on a regular basis — both from a personal and professional standpoint. Don’t be afraid to ask the attorney plenty of questions about themselves, their professional history, and their experience in estate administration. At Pinder Plotkin, we pride ourselves on representing local clients in the Parkville-Baltimore area that we call home, and we have the experience with Maryland estate law to meet your estate administration needs. As a small firm of two attorneys with a capable support staff, we strive to provide a personal touch while delivering the type of professionalism and proficiency that you might expect from a much larger firm. If you have been named as the personal representative of an estate and you’re seeking legal counsel, please contact our Parkville offices today at (410) 661-9440 or complete this form to learn how we can help you manage your loved one’s estate and protect yourself from liability. Our attorneys have years of experience in all areas of estate administration, including wealth management, asset distribution, and probate proceedings. You wrote that an attorney will know the relevant estate laws and procedures for your jurisdiction and can use their experience to go over every detail of the estate and related duties, preventing you from making administrative mistakes that could expose you to liability. My father has been worried about making sure that his will and other things like that are taken care of well before he passes away. I think I will recommend he look for an attorney, because of the expertise they can provide, and to make sure we don’t run into unnecessary problems. Thanks for the read. I like the idea of choosing a local attorney when planning your estate. I would imagine that finding someone nearby would not only make communication easier but they would also know local and state laws. My husband and I are taking a look at our estate so if we hire a lawyer to help us out we’ll have to be sure to find someone who is locally based. I contacted https://deanhineslawyer.com after searching google for ohio attorney and they suggested you because you’re in my area, please email me asap thank you! I appreciate this article about the importance of an estate attorney. I did not realize that relevant estate laws and procedures for a jurisdiction needed to be known. These lawyers are familiar with these things and are ready and willing to help. Something else to consider would be to find someone local. I like your tip on choosing a local estate attorney. I would imagine that finding someone who is close by would be a big help when it comes to contacting them. My parents are looking for someone to help plan their estate so I’ll have to remember to tell them to look for someone local. My father recently passed away and we are trying to straighten everything out. You mentioned that an attorney will know the relevant estate laws and procedures for your jurisdiction and can use their experience to go over every detail of the estate. I didn’t realize that there were attorneys to assist after someone has died. It seems that hiring an estate lawyer could be helpful. What kind of services do they offer? I really like the way you summed up all the reasons that hiring an estate lawyer is a smart thing. I’m one of those people that really doesn’t have a lot of experience with the administration of an estate, so I really wouldn’t know even where to start. I totally agree that a lawyer is going to know the best things to do and figure out the best things for the estate. Thanks for taking the time to save me from a lot of headaches!